Welcome to the National Advanced Lighting Controls Training Program (NALCTP) educational resources. We invite you to browse these documents to find the latest research on ALC as well as some promising innovations. NPR Marketplace Highlights CALCTP. NPR Marketplace highlights the California Advanced Lighting Controls Training Program (CALCTP) as a model for an effective green job and workforce development initiative. June 10, 2014. To read the story and listen to the program click here. NALCTP Announces New Affiliate WALCTP. The National Advanced Lighting Controls Training Program (NALCTP) is pleased to announce the creation of the Washington Advanced Lighting Controls Training Program (WALCTP). Spearheaded by Electrical Industry Group of Washington the expansion into the northwest shows the value of bringing critical lighting controls training of electricians and electrical contractors into this new area. May 2014. Lighting Control and Demand Response - Special Report. Source: Lighting Controls Association, e-magazine. May 20, 2014. To view the report click here. Source: Department of Labor Photos, July 21, 2011 available here. Source: ABC 7 News, watch video here. Source: An articled titled "Lighting Control for Existing Buildings: Lighting is a Target for Energy-Efficiency Improvements because it's Profitable" is available here. Lighting Upgrades Boosts Workplace Productivity. 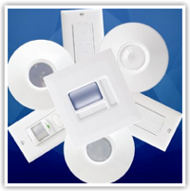 Advanced lighting control is the future of lighting and offers building owners and managers a great opportunity to save money with better lighting. Source: An article titled "Advanced Lighting Control Can Reduce Operating Costs and Improve Worker Satisfaction" is available here. "Green Partners in Community and Economic Development: Special Issue- Volume 19, Number 2, 2009". More information is available here.